On January 9, 2016, we had the pleasure of enjoying, learning and watching a professional at work. Elaine Monnig has been an artist since she was three years old. In third grade, she won her first award! Elaine spent her early years in West Texas where she was an en pleine aire artist. Her early work career was in programming mainframes in Cobal, Assembler and Fortran. The correlation between art and computers has been identified and documented. In fact, this is from their current catalog, “Beginning this fall, Carnegie Mellon University will offer a Bachelor of Computer Science and Arts (BCSA), a new interdisciplinary program that will equip students to explore and expand the connections between computation and the arts.” So we are clear that Elaine was ahead of her time. 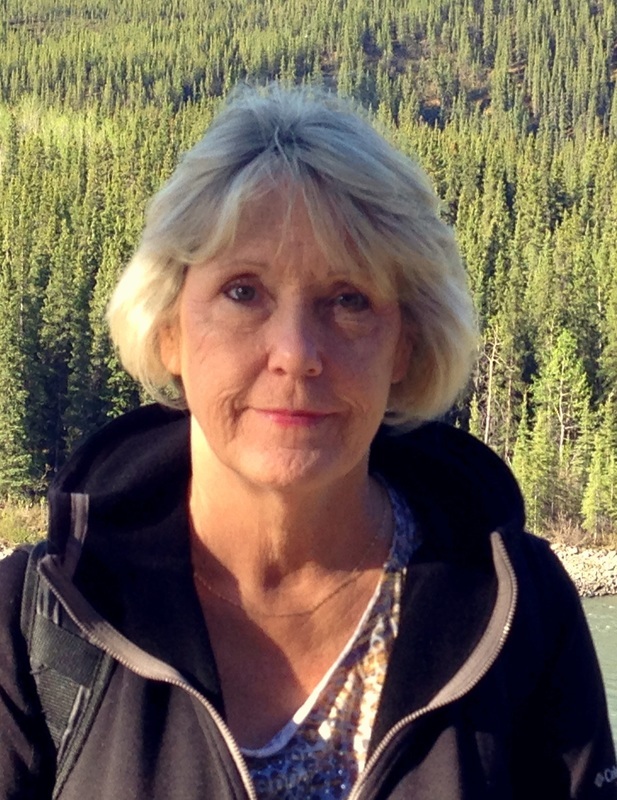 When Elaine came to Houston, she began an extended study with Tina Szajko. Tina encouraged Elaine to enter Elaine’s first show and she won 1st and 2cd place. 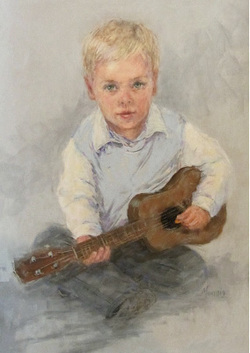 En Pleine Aire, portraiture, including both figure and face, and still life are the favorite styles. When she attended an American Impressionist Society convention, she met Scott Christiansen and immediately signed up for a workshop. He was instrumental in the development of her landscape style. After several workshops, her goal is to participate in his mentoring program. Being a Texas girl, when Dalhart Windberg appeared on the radar, Elaine was delighted. He has a clear style and she set out to internalize it. Elaine is self-taught with many workshops behind her. Elaine is particularly proud of her portraits of children. Her best technique is layering hard pastels like NuPastel with Senneliers. The thin harder NuPastels are covered brilliantly with the softer Senneliers - creating distance with the use of softer greyer colors and bringing objects closer with brighter, clearer colors. Her goals for the coming years are to continue to paint En Pleine Aire all over the world. She particularly appreciates the thank you notes she receives from her clients about the works they’ve collected. Elaine will be featured in the April 2016 edition of Pastel Journal. Two of her paintings were juried into the 2016 Plein Air Southwest Salon Show. She has finalized plans for teaching Plein Air in 2017 in the French Alps. She is teaching weekly classes at the Brenham Downtown Art Gallery in Brenham, TX and monthly classes at Trini Mendenhall Community Center in Houston, TX.